All Saints' Church, North Street, York is a Grade I listed building which is noted as containing the finest collection of medieval glass in York, mostly dating from the early fourteenth century. There are 11 windows with medieval glass, much of it complete and in its original state. Perhaps the most famous of these are the Prick of Conscience dating from circa 1410 and "Corporal acts of Mercy", which was possibly the gift of Nicholas Blackburn, Lord Mayor of York. 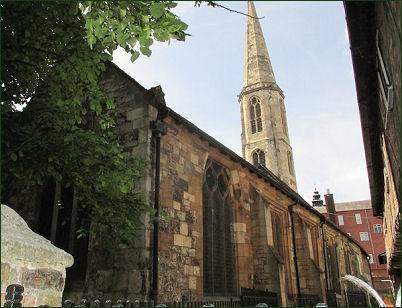 The first record of All Saints church occurs in 1089, when the patronage of the rectory was given to the nearby priory of Holy Trinity at Micklegate by one Ralph Paganell, a layman who had founded Holy Trinity. 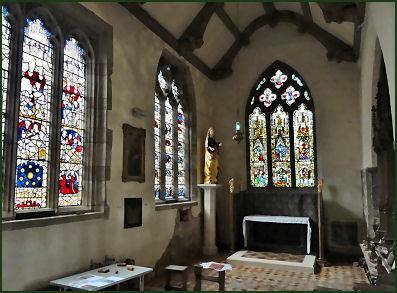 The first church of All Saints occupied the space between the current chancel and the west aisle of the nave. 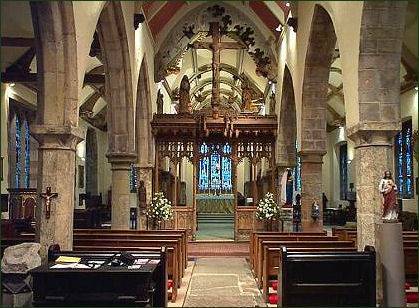 The earliest part of the present church is the nave which dates from the twelfth century. The arcades date from the thirteenth century and the east end was rebuilt in the fourteenth century, when the chancel chapels were added. An anchorite building was erected at the west end in the fifteenth century and a squint made through the wall so that Dame Emma Raughton could observe and hear the mass being said. The elegant spire, which rises to 120 feet, is also a fifteenth cntury addition. 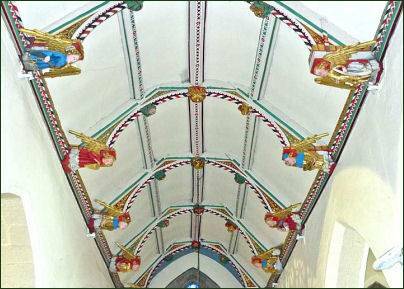 The colourful chancel ceiling was erected 1467-1472. The hammerbeams are in the form of angels who hold a variety of objects, including musical instruments and liturgical apparatus. The hexagonal wooden pulpit dates from 1675, around the top is a text from St Paul's epistle to the Romans. The floor of the church incorporates many medieval and later grave markers. The church was restored between 1866 and 1867 by JB and W Atkinson of York, which included the rebuilding of the south aisle wall, the addition of a porch and a vestry, half of the roof being replaced, new seating provided throughout, the pillars and walls scraped, and a new organ provided. The church was restored again in 1991 by the architect Peter Marshall.